Pop the lid on these 5 muscle-friendly, tasty, and economical proteins confined to a can. Yes, you can build muscle on a budget! No doubt, the cost of feeding hungry muscles can be steep. Especially when your grocery cart is weighed down with salmon fillets, tuna steaks, and chicken breasts in your never-ending pursuit of quality protein essential to building muscle. For those of us on a budget, the canned meat aisle can be the answer to getting all the high-quality protein you can stomach without the serious pain at checkout. Let&apos;s not forget that canned proteins are also portable nutrition. But today, you&apos;re not just limited to tuna. From sandwiches to pasta to soups to salads to quick tacos, these 5 convenient and economical canned proteins can sneak their way into all sorts of muscle-sculpting meals. Sure, it&apos;s not as mouth-watering as a perfectly roasted whole bird, but there&apos;s no reason to be chicken about trying canned chicken. Most brands stuff their cans with chicken breast meat, meaning that each forkful is loaded with a stellar protein-to-fat ratio. Sure, it&apos;s not as mouth-watering as a perfectly roasted whole bird, but there&apos;s no reason to be chicken about trying canned chicken. 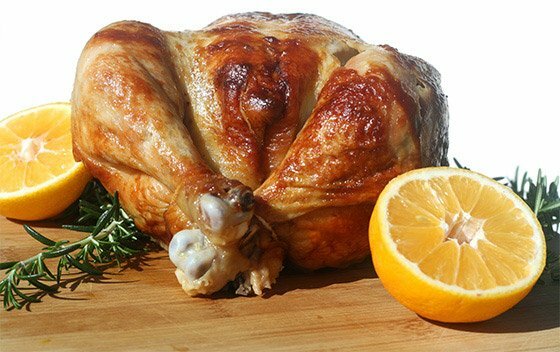 Chicken breast is also a good source of the potent antioxidant selenium. You can now even find some products without added salt if you&apos;re watching your sodium intake. An anchovy is a tiny, silvery fish often found in Mediterranean waters with a wallop of umami flavor. These little sustainable swimmers provide a boatload of omega-3 fats, calcium, and niacin, a B-vitamins which the body uses to convert the food you eat into the energy you use to hoist iron from the gym floor. Being so small with a relatively short lifespan, anchovies don&apos;t accumulate toxins from the sea like bigger species such as albacore tuna. Not just for Caesar salad, anchovies can make scrambled eggs, pizza, salad dressings, and pasta dishes instantly better. To reduce their saltiness, you can soak anchovies in water for 30 minutes, then drain, and pat dry. As for product, you&apos;ll be hard-pressed to find a better option than the meaty white anchovies from Wild Planet. They&apos;re so good, you&apos;ll want to forgo any prep and just eat them straight from the can. 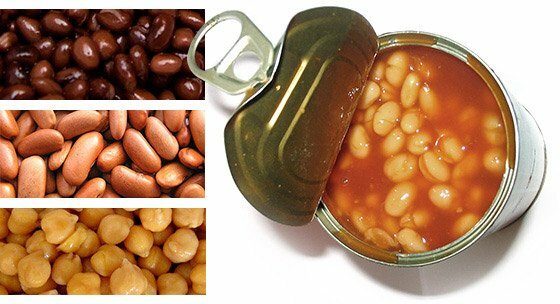 Beans, beans, they&apos;re good for your heart, the more you eat the more you ... Amusing school-yard rhymes aside, think of the various guises of canned beans as the MVP of your pantry. Beans are inexpensive, ultra-versatile in the kitchen, and overloaded with nutrients. Beans are inexpensive, ultra-versatile in the kitchen, and overloaded with nutrients. Case in point: A cup of canned kidney beans delivers 13 grams of protein along with folate, iron, phosphorus, and an impressive 14 g of dietary fiber. Studies suggest that higher intakes of fiber can help in the battle of the bulge by regulating blood-sugar levels and promoting satiety, which can keep your hands out of the cookie jar. Eden Foods packs its organic beans without salt and in tins that aren&apos;t lined with the sketchy chemical BPA. Flecked with great smoky flavor, often-overlooked canned mussels can help you put on more muscle than a New England clambake. A 3-ounce tin has about 18 g of top-notch protein and is also a stealthy source of omega-3 fats. The omega-3s found in the edible gifts of the sea have been shown to help initiate muscle protein synthesis and may help fend off coronary woes. For a fanciful snack, try smearing some horseradish cream cheese on rye crisps and top with canned smoked mussels. Often cheaper than fresh cuts at the fishmonger, canned salmon provides a payload of protein as well as vitamin D. It turns out that the sunshine vitamin could be the secret to bigger muscles. A study in "Medicine & Science in Sports & Exercise" discovered that people with higher blood levels of vitamin D tend to have stronger upper- and lower-body muscles. It&apos;s thought that vitamin D positively impacts testosterone. Often cheaper than fresh cuts at the fishmonger, canned salmon provides a payload of protein as well as vitamin D.
For the most part, canned salmon also harbors higher levels of omega-3 fats than its tuna counterpart and has been shown to contain lower levels of the harmful element mercury. Eat the softened bones and you&apos;ll also take in good amounts of calcium to help fortify bone strength. For the healthiest product for you and our seas, look for canned salmon that is labelled "wild." While canned sockeye salmon provides the richest flavor, you also can&apos;t go wrong with more economical pink salmon. Looking for healthy, natural foods to bolster your gym gains? Here&apos;s how to separate the reality from the sales pitch when it comes to 8 common food labels. Greens supplements are hot on the market, but misinformation can make the difference between them supplementing your health and bringing gains to a halt.